“Has not God often turned your water into wine, your brass into silver, your silver into gold? When you were dead in sin, did he not quicken you? When you were lost, did he not seek you? When you were wounded, did he not heal you? And when you were falling, did he not support you? And when you were down, did he not raise you up? And when you were staggering, did he not strengthen you? And when you were erring, did he not correct you? When you were tempted, did he not help you? And when you were in danger, did he not deliver you? And will you murmur? It may seem a bit harsh to rebuke someone for complaining while they are going through a difficult trial. But we have to remember that grumbling is a serious sin (Num. 14). Furthermore, even through trials Christians should want to avoid sin and do what is right in God’s sight. The rhetorical questions Brooks asked are good ones to go through as we aim to suffer without grumbling. Trials are miserable and more difficult than some people realize. But the Christian need not grumble because the promises of Scripture are true: God is with us and loves us, Jesus died to save us, and the Spirit is at work in us (etc. etc.)! 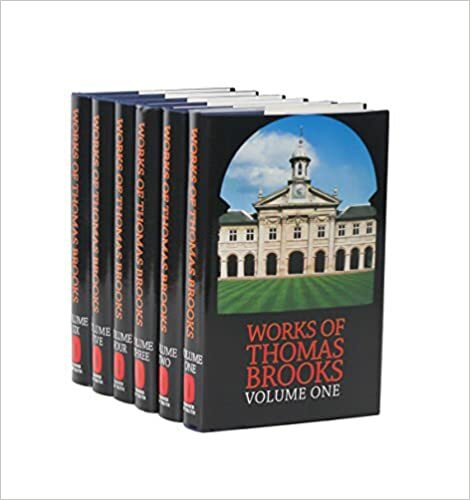 The edited quote above is found in volume 1 of Brooks’ Works, page. 340. This entry was posted in Uncategorized and tagged Affliction, complaining, grumbling, murmuring, thomas brooks, Trials.